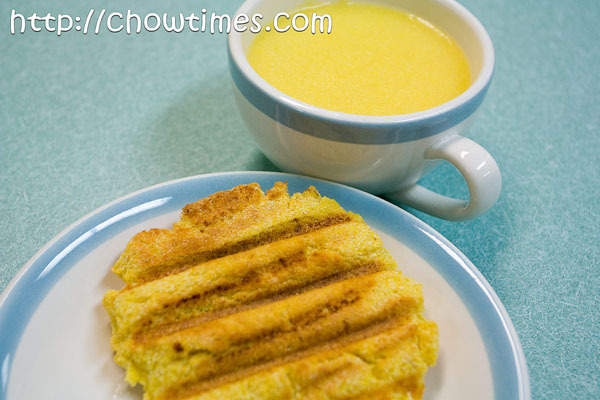 For dessert, Jorge prepared another item made with cornmeal. 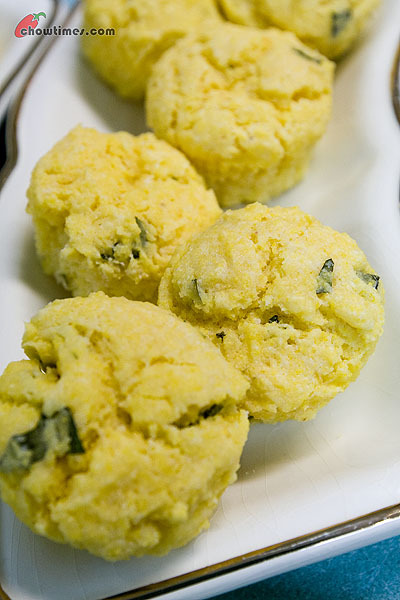 This time, it’s a sweet cornmeal muffins. Jorge kicked it up a notch by adding basil to it. Jorge served the Basil Cornmeal Muffins with Strawberry Rhubarb Sauce which I will post next. Jorge served the Chicken Ratatouille with Jalapeno Chili Corn Bread. 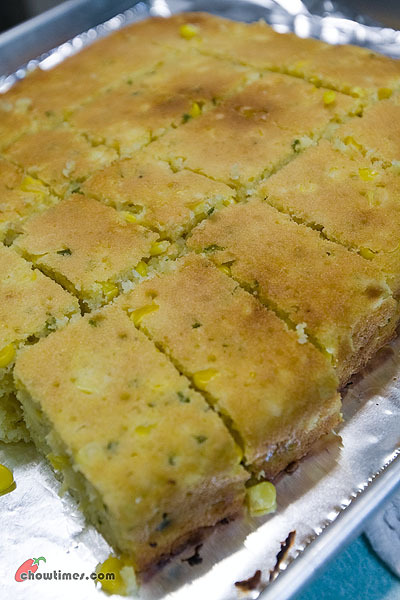 Corn bread is native to the New World and was discovered by the Europeans during the European exploration of North America. 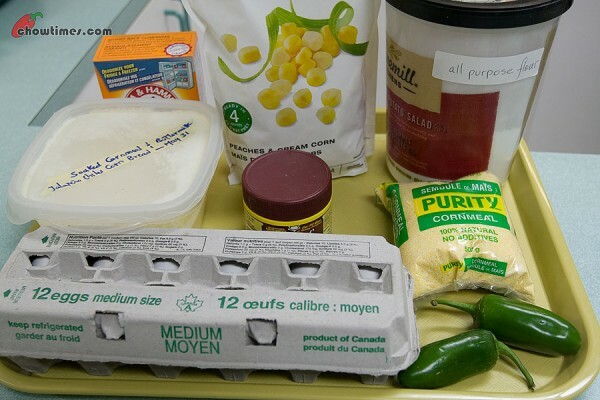 This Jalapeno Chili Corn Bread is not as spicy as it should be because Jorge toned down the heat by using less jalapeno due to not many of the seniors can tolerate the heat. 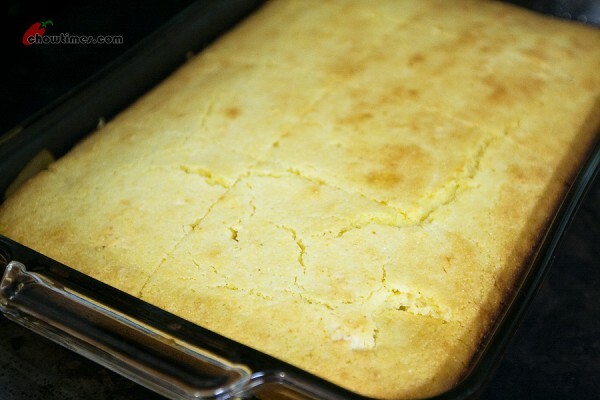 What is better than cornbread to serve with chili? 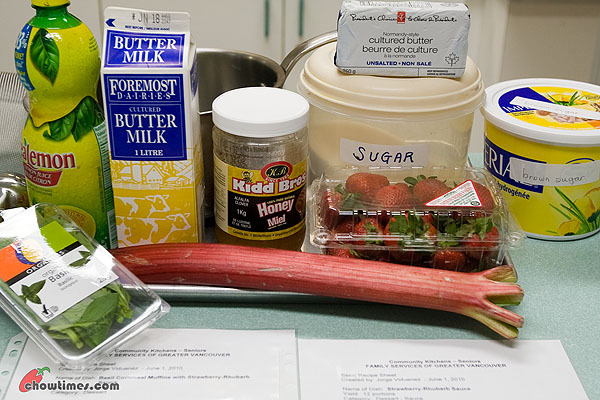 Carol and Helmut made some Honey Cornbread to be served with the Turkey Corn Chili in the South Arm Cooking Club for Seniors. The Honey Cornbread is a bit dry-ish on its own. But it makes a perfect companion with the Turkey Corn Chili to soak up the sauce. 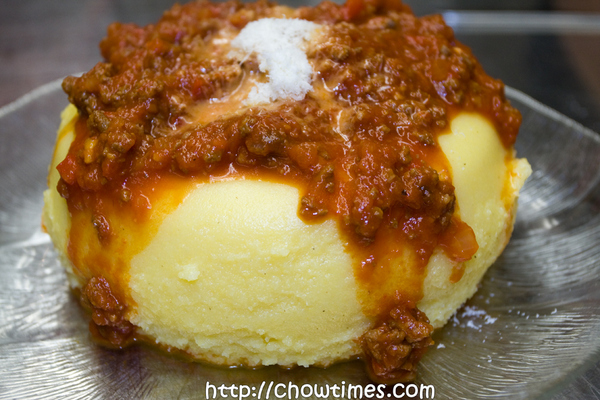 Jane made Polenta with Meat Sauce in the Gilmore Park Church Community Kitchen. I love to go to Jane’s kitchen as she has lots of stories and experiences to share especially about her marriage and her life experiences in Italy. 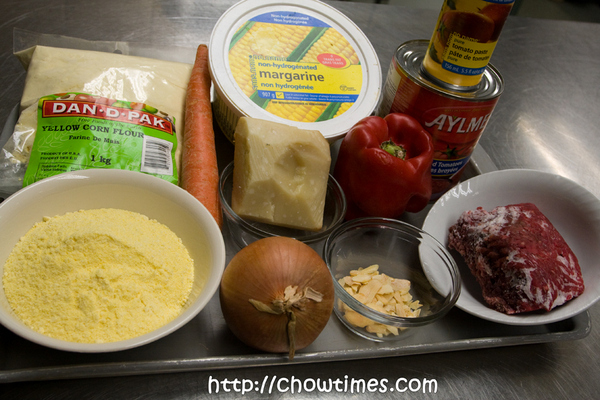 Polenta is made with corn meal. 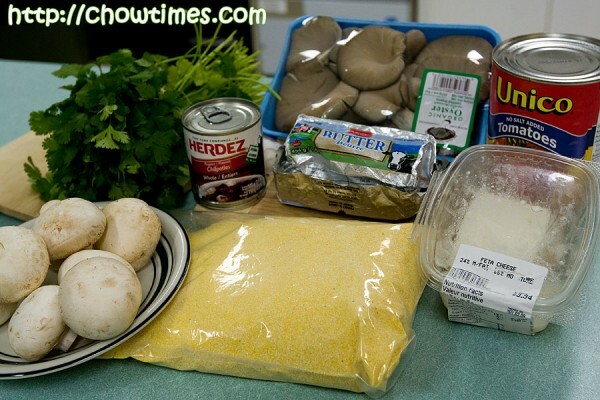 Corn meal comes in fine and coarse texture. You may use either according to your preference. 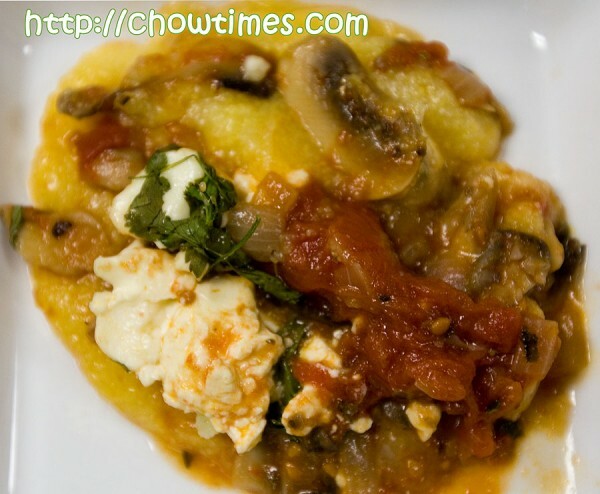 The Polenta can be cooked on the stove which takes about half an hour or cooked using microwave in less than 15 minutes. 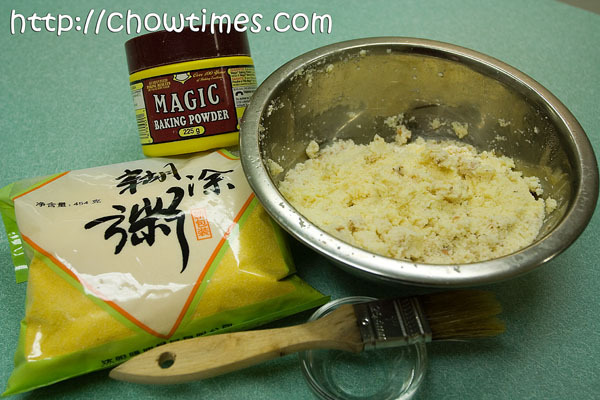 Fine corn meal may takes less time. 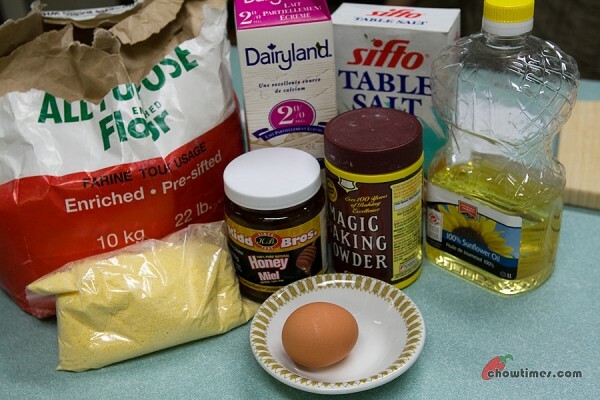 Allocate about 1/4 cup of corn meal per person.